Decorating a home can be difficult. Everything from the floor to the ceiling and to the walls are expected to harmonize and capture the “exact feel” you want. The type of materials, colors, along with many factors are carefully considered so that there will be no clashing in patterns, and the entire home will be designed “just perfectly.” Unfortunately, the task of home decoration gets no easier when it comes to window treatment. For anyone who has decorated a home in the past, picking the right window treatment is more than buying curtains. After you have evaluated the face of the window, lighting issues, and privacy concerns, you are still left with the three most common options of drapes, blinds, and shutters. While drapes and blinds have been popular choices in the past, their lack of lighting and aesthetic appeal has allowed shutters to gain great consumer attention. Shutters are the preferred choice, especially for those who want to create an open feeling in their homes! One of the many concerns homeowners have when it comes to curtains is that it creates a heavy and sometimes gloomy atmosphere in the house. Although luxurious in appearance, the thick and heavy materials of the curtain not only create a weighty feeling around the house, but also keep the rooms of the house cloaked in darkness. Needless to say, gloominess and darkness are not atmospheres homeowners like you want to generate. 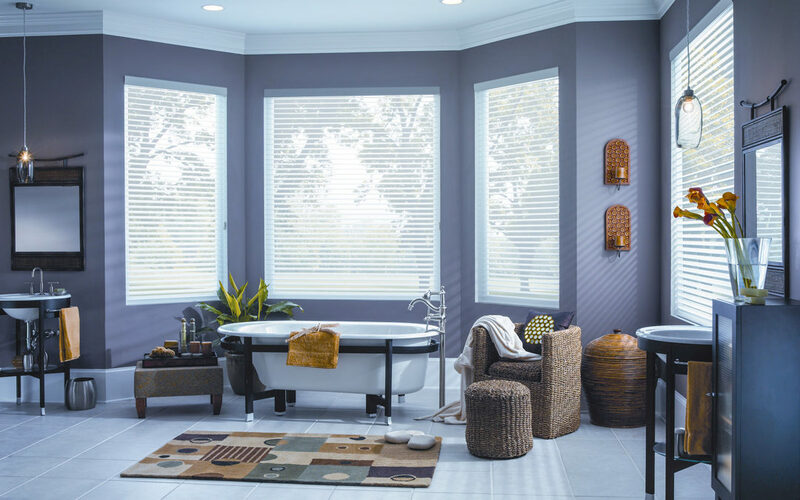 Thankfully to shutters, homeowners are finding an alternative window treatment that will satisfy their desire for privacy and natural light filtration. Unlike curtains which are large and weighty in appearance, shutters have a relatively light proportion that makes it to float perfectly over windows. Shutters add a soft touch to your home. The variety of colors and materials you may choose from can also give your home a stylish twist. For these reasons, homeowners are finding shutters with large louvers the perfect solution to their window treatment. Not only do these shutters offer the perfect blend of privacy, sun, and ventilation control, they also create an “open feeling” by integrating bits and pieces of the outside setting into the interior environment. Homeowners are happy with shutters because they are no longer covered up and disconnected from the beautiful landscape or seascape outside their homes. Kiss the heavy drapes good-bye. Uninstall the visually unappealing blinds. It is time to let the sun in and embrace the world with the beautiful and soft-looking shutters. Contact us at (604) 436-3400.